Our modern life massacres are enough to keep us engaged and stressed all the time. We always think about something that can distract us from our every day’s pressure. For this purpose, developers at Microsoft have successfully created an app called Sprinkles that offers us a way to enjoy few fun moments. 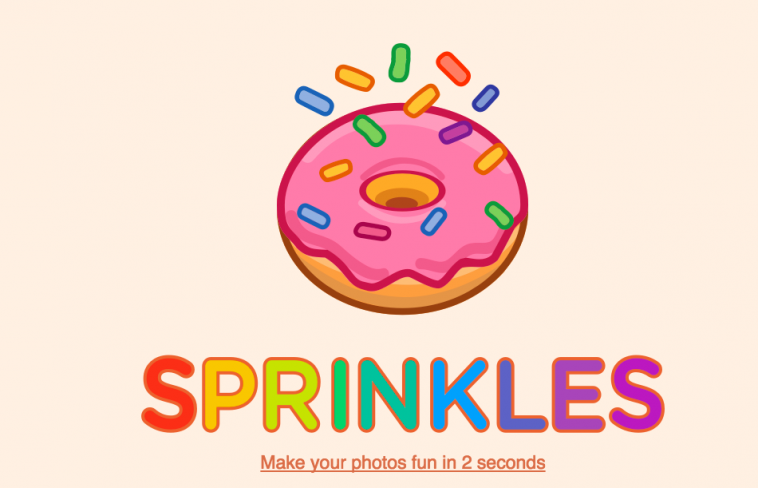 This fun camera application game has been developed with a new iOS application called Sprinkles. The basic aim of this app is to attract the teen audience as it offers a variety of photo decorating tools including emojis, stickers, and captions. But most interesting about the app is its ability to do things like detecting faces, determining the photo’s subject age as well as emotion, searching for a celebrity look-a-like, etc. through Microsoft’s machine learning and A.I. capabilities. In various other consumer-facing web projects from Microsoft, these tools have already been used like the applications including CelebsLike.me or How-Old.net. Previously these tools have been used separately but now these all have been integrated with Sprinkles in order to provide a new photo-editing experience to the users. Microsoft wants to cater to the audience that has been very much influenced with some of the SnapChat’s features like flower crowns and puppy faces. The new app offers everything from facial recognition techniques to guessing about a subject’s age. It’s interesting when an app for itself can suggest overlay decorations such as hats or moustaches or search for a celebrity look-a-like. Using the machine learning process, this app can even tell if the subject is smiling and later on offers appropriate captions for it. The captions and stickers suggested are based on the locations or time when an image was captured. Suggestions can be many and users can swipe through to choose the ones they feel are most relevant for their photo. They can even manually decorate their photos with stickers from the web, their personal text, or with emojis. These can then easily be saved and shared with friends over Facebook, Twitter, etc. Previously, Microsoft had been attempting to offer many such apps but this time, the company has targeted the younger audience. It is a silly but fun technology that Microsoft has showcased through Sprinkles.